Hvis du sørger for at sætte det rigtigt op, vil din indboks endda altid være synkroniseret mellem din iPhone, iPad og Gmail. Med synkroniseret menes der, at hvis du eksempelvis markerer en mail som “læst” i Mail på iPhonen, vil den også blive markeret som læst i Mail på iPaden eller i webinterfacet til Gmail. For at kunne dette, skal du benytte den såkaldte IMAP-protokol med Gmail. 2. Åbn Indstillinger og tryk på fanebladet “Videresendelse og POP/IMAP”. 3. Marker “Aktivér IMAP” og gem ændringerne. 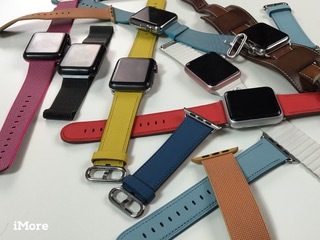 Here’s what you need to know about switching between multiple Apple Watches. 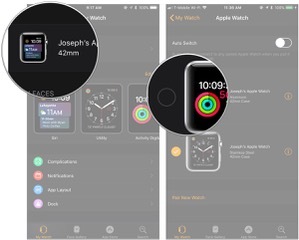 While many people purchase only one Apple Watch and use it for everything from notifications to fitness tracking, some people might elect to use multiple watches for different tasks or occasions. Here’s how you set up and switch between multiple Apple Watches with your iPhone. Luckily, setting up a second watch to use with your iPhone is just a matter of pairing it like you did you first watch. Tap on My Watch if you’re not already in that tab. Tap on your existing watch at the top of the screen. 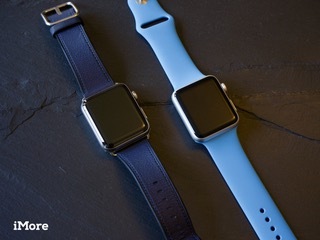 Pair your new Apple Watch. Note that you can either set up your watch as new, or use a backup of your existing Apple Watch. Once you have your additional watch paired to your iPhone, switching between watches is fairly easy. If you’ve turned on Auto Switch. 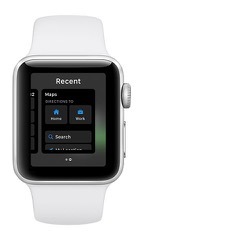 Tap on your Apple Watch at the top of the screen. Turn the switch next to Auto Switch to the green ‘on’ position. 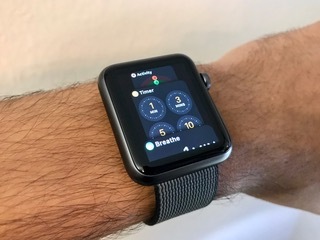 From there, all you need to do to switch between Apple Watches is take one off, put the other one on, and raise your wrist to wake the screen. 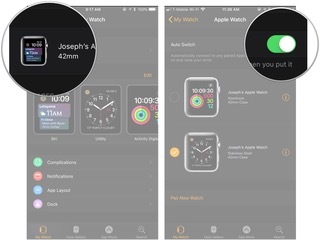 Note that all of your paired Apple Watches share activity data, so you won’t need to worry about losing any of that when switching between watches. 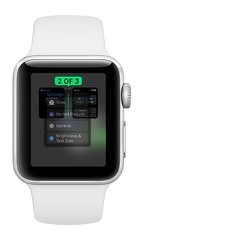 If you want, you can also switch between Apple Watches manually. Tap on the other Apple Watch that you want to use. 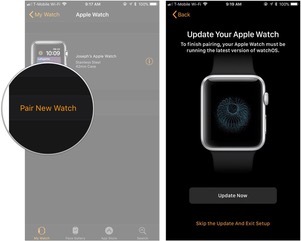 An orange circle with a white checkmark will appear next to your chosen Apple Watch. If you have any more questions about pairing multiple Apple Watches to the same iPhone, be sure to let us know in the comments. Believe it or not, it used to be a real pain to batch-rename files on Mac. Times have changed and so have the names of those 15 files. Prior to OS X Yosemite, there was no simple way to rename multiple files at the same time on the Mac. Some people set up Automator rules. Others tried workarounds to rename files in third-party apps. Finally, Apple realized our heartache and created a much simpler way to rename multiple files at once, and it’s only gotten easier as macOS updates continue. 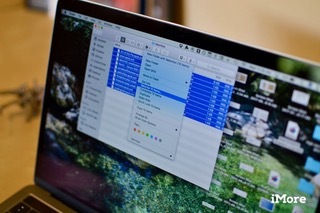 Here’s how to batch-rename files on your Mac. I personally batch-rename photos most often, but it works for any files you have. They just have to be the same type in order to be renamed all at once. Launch Finder on your Mac. Locate the files you want to rename. Shift-click to select multiple files. Click on the Action button at the top of the Finder window. You can also right or control + click on the files. Select Rename [X number] Items. Select Format from the drop down menu at the top of the set of rename tools. Select a Name format for the style of format you want. You can choose from Name and Index, Name and Counter, or Name and Date. Enter a name for your files into Custom Format. Enter a Starting number. I chose the number 1, but you can start with any number. All of the files you selected will be renamed with the new name and listed sequentially from the starting number you entered. If you have a number of files that you want to identify but want to keep their current names, you can add text to every file without changing the original title. Select Add Text from the drop down menu at the top of the set of rename tools. Enter the word or words you want to add to the files. Select whether you want the new wording to be added before or after the current name. All of the files you selected will have the new words added to them, without changing their original title. Sometimes, you want to change the name of just a few files, but it’s one of dozens of files with different names and may be difficult to search for. You can find and replace portions or all of the name of files if you have a general idea of the original. For example, you could find and replace the wording in the name of every file that has “secret project” in it. Open the folder where the files you want to change are stored. Shift-click on all files in the folder. Remember, in order to rename multiple files, they must be the same type. Select Replace Text from the drop down menu at the top of the set of rename tools. Enter the word or words you want to change in the file names. Enter the word or words you want to replace them with in the file names. Every file that had the original word or words you searched for will be replaced with the word or words you entered to change them to. It’s incredibly easy to undo a file rename, as long as it’s the last action you performed in the finder window. With Finder selected, click on Edit in the app menu at the top left corner of the screen. If it doesn’t say Undo Rename, try hitting Undo a couple of times. This will undo any actions you’ve performed in Finder after renaming the files. You can also hit Command-Z as a keyboard shortcut to undo. Do you have any questions about renaming multiple files at once on the Mac? Put them in the comments and we’ll help you out. 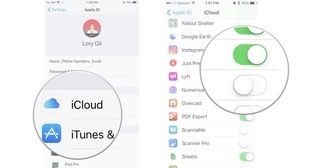 Syncing with iCloud is a great way to back up your data so you can easily access it across all your devices, but it’s not necessary for every app. 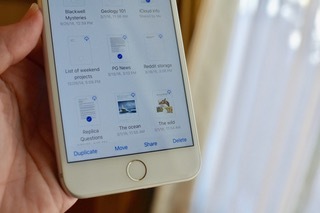 Apple’s iCloud Drive is like a little puff of magic that stores and syncs your data across all your devices. Your important files are safely tucked away if something should happen to your iPhone or iPad. Your journal entries are available to continue working on whether you’re on your iMac or MacBook. It’s convenient and easy to use. But the more apps you allow to use iCloud Drive to store your data, the more data you’ll use up. Not every app needs to be backed up and synced in iCloud. You can give and revoke permission to apps that want to store content in your iCloud Drive account with just the flick of a switch. Here’s how. If you use an app that you like being able to access the data across multiple devices, it’s a good idea to let it do its syncing thing in iCloud Drive. 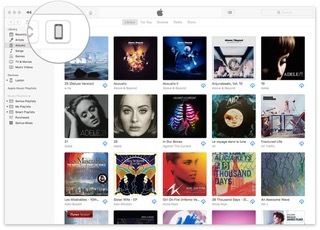 Scroll down the list and toggle the switch on for any app you want to give access to iCloud Drive. It’s green when it’s on. Click on the Apple menu icon in the upper left corner of your Mac’s screen. Click on Options next to iCloud Drive. Tick the box for any app you want to give access to iCloud Drive. Click Done to close the window. Any app that supports iCloud syncing will be able to send data to your iPhone, iPad, and Mac (depending on which devices they support). Just as awesome as it is to be able to sync your data across devices, there are some apps that just don’t need to do that. For me, that’s calculator apps. 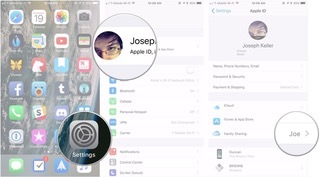 Storing data you won’t ever need to have saved or synced on other devices just eats into your iCloud data, which might be limited, depending on your plan. Scroll down the list and toggle the switch off for any app you want to revoke access to iCloud Drive. It’s white when it’s off. Untick the box for any app you want to revoke access to iCloud Drive. 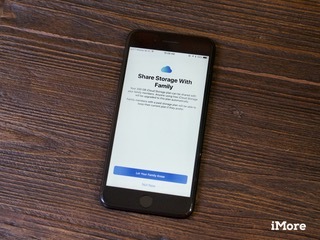 Those apps will no longer have access to iCloud Drive and won’t sync across your devices, but you’ll have a few more megabytes of data in your iCloud storage. 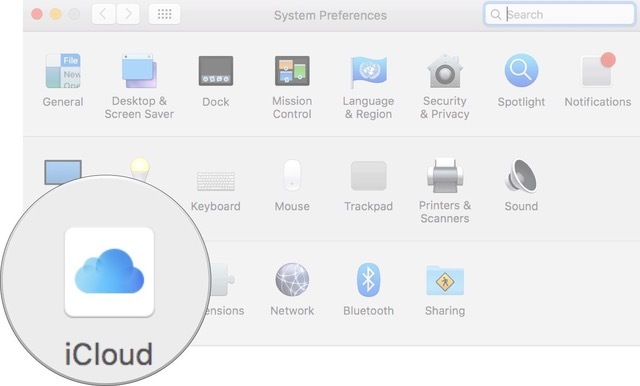 Do you have any questions about giving or revoking access for third-party apps to iCloud? Put them in the comments and we’ll help you out. Updated August 2017: Reflected minor changes for iOS 11 and macOS High Sierra. iOS 11 FAQ: Everything you need to know! Keld Norman, der til daglig arbejder som sikkerhedskonsulent hos Dubex, har brugt lidt af sommerferien på at lave en IMSI-catcher, der kan opsnuse det såkaldte IMSI-nummer, der er altafgørende for, at den rigtige mobiltelefon får det rigtige opkald. Baseret på en Raspberry Pi med et SD-kort ville hele setuppet blive endnu mindre og ville kunne monteres på blandt andet busser og taxaer. På den måde kunne man kortlægge ekstremt mange simkorts færden. Med den lille IMSI-catcher og de tilhørende Python-scripts kan man registrere, hvilke simkort, og dermed mobiltelfoner, der er koblet på den nærmeste mobilbase på et givent tidspunkt. På den måde kan IMSI-numrene bruges til at afsløre, hvem der var hvor hvornår. »Hvis pølsemanden eksempelvis har en IMSI-catcher i sin pølsebod, og der er indbrud i pølsevognen om natten, kan han ud fra signalstyrken se, hvilke IMSI-numre der var tæt ved pølsevognen den nat,« siger Keld Norman. I det tilfælde kan IMSI-catcheren bruges til at finde både vidner til ugerningen og gerningsmanden. For henvender en politimyndighed sig til teleselskabet, der varetager et mistænkeligt IMSI-nummer med et stærkt signal, kan myndigheden få oplyst, hvem der ejer simkortet, der er kædet sammen med netop det IMSI-nummer. Det er naturligvis ikke muligt, hvis IMSI-nummeret tilhører et anonymt taletidskort. En gang imellem er mobiltelefoner nødt til at række ud til omkringliggende mobilbaser for at sikre en stabil forbindelse. Når en telefon får fat i en mobilbase, skal den blandt andet opgive sit IMSI-nummer for at verificere sig selv, ligesom mobilbasen skal verificere sig over for telefonen. 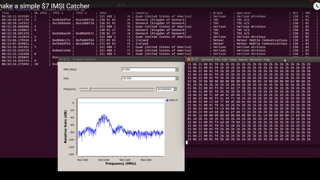 En såkaldt IMSI-catcher udgiver sig for at være en mobilbase og fanger i den forbindelse mobiltelefonernes signaler. Den kan enten fastholde mobilerne og route dem videre til mobilbasen og på den måde lure på signalet – eller smide mobilen af og nøjes med at logge tid, signalstyrke og IMSI-nummeret. Keld Normans setup hører til den sidste kategori og kan derfor kun logge og ikke aflytte, understreger han. Derudover er der med IMSI-nummeret tale om endnu en personspecifik information, der ifølge Keld Norman kan lægges til den sky af data, der findes om os hver især i serverracks verden over. »En lille IMSI-catcher som denne her er bedst, hvor der ikke er så mange mennesker på lidt plads. Ellers drukner man i data,« siger Keld Norman. Men selv i storbyer kan tricket bruges med stort udbytte, hvis man magter at data-mine på de mange data, fortæller han. Der er i sig selv intet nyt ved muligheden for at logge IMSI-nummeret, for man har længe kunnet opsnappe det. Forskellen ligger ifølge Keld Norman i, at det er blevet så billigt og nemt at lave IMSI-catcheren. Hardwaren koster 7 dollars – eller omkring 45 kroner – på eBay – inklusive levering. Softwaren er gratis og kan installeres med kun en smule teknisk snilde på en time, vurderer Keld Norman, der også har lavet en guide og en video, der beskriver skridt for skridt, hvordan man får sat udstyret op. »Det ville desuden ikke undre mig, om der snart kom en færdig pakke baseret på eksempelvis Raspbery Pi Zero, der slet ikke kræver it-kundskaber for at få overvågningen af mobiltelefoner i området op at køre,« siger Keld Norman. Som det også fremgår af videoen nederst i artiklen, er hardwaren lille og dermed let transportabel og kan nemt skjules, hvis man vil. Samtidig påpeger Keld Norman, at der er langt fra hans lille IMSI-catcher til en reel aflytning af en telefon. Når man tidligere har snakket om aflytning med IMSI-catchere både i Norge og England har det krævet mere avanceret hard- og software. For vil man bruge IMSI-catcheren til aflytning, skal den også kunne videresende de signaler, catcheren modtager, til den nærmeste telemast for på den måde at virke som base for et Man In The Middle-angreb (MITM). Lykkes det angriberen at gennemføre MITM-angrebet, inden forbindelsen bliver afbrudt, kan man aflytte telefonlinjen. Forbindelsen kan blandt andet blive afbrudt, hvis offeret bevæger sig væk fra IMSI-catcheren, eller telefonen skifter kanal, hvilket den jævnligt gør netop for at undgå aflytning. »Det kan godt være, at man nu vælger at lave om på den måde, telefonerne udleverer IMSI-numrene på, akkurat som man har forhindret nyere telefoner i hele tiden at efterspørge diverse Wifi’s og har sikret SS7-protokollen, så den ikke kan hackes så nemt som førhen,« siger Keld Norman, der forklarer, at det er svært at ændre på IMSI-systemet, medmindre man går over til andre hardwareløsninger, eksempelvis tale over wifi. Han fortæller også, hvordan man forholdsvis nemt kunne hacke telemaster og på den måde aflytte opkald, der gik over dem, indtil SS7-protokollen blev sikret. »Nogle gange skal det blive offentligt kendt, at systemer nemt kan udnyttes, før de ændres og sikres,« siger Keld Norman. Selv omtaler han det lille sommerferieprojekt med IMSI-scanneren som grundforskning i it-sikkerhed. 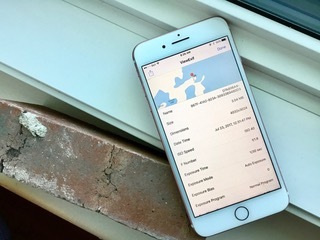 Looking to free up some space and strip the EXIF data from your iPhone photos? Here’s how! Unless you’re a super professional photographer or are wanting to get a bit more in-depth with your photographs/info for a project of some sort, then EXIF data has little use to you besides weighing down your iPhone with unnecessary metadata. Removing EXIF data from an image on your iPhone is probably a lot simpler than you think it is — you just need to have the right tools to do it! While there are plenty of apps available out there that can do it, my favorite one to use is ViewExif). ViewExif is great because if gives you super fast access to all your image’s metadata, while still making stripping away said data as simple and painless as possible. Once the app is installed, you don’t need to bounce between two apps over and over to get your EXIF-free photos. Here’s how to remove EXIF data from your photos on your iPhone! 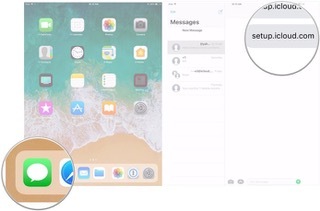 After downloading ViewExif to your iPhone and enabling it in the Photos app so that it appears along the bottom of the screen with AirPlay, Slideshow, and Print options, follow along with the next steps. 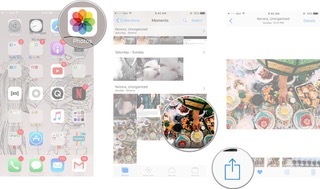 Launch the Photos app from your Home screen. Select the photo or photos you would like to strip EXIF data from. Tap the share button in the lower right corner. It looks like a box with an arrow coming out of the top of it. Tap ViewExif. You might have to swipe left to find it. Your image’s metadata should appear on your screen. Tap the share button in the upper right corner. It looks like a box with an arrow coming out of the top of it. A window will appear on your screen — you can then choose to Save without Metadata, Share without Metadata, or Share with Metadata. Once you save your new image, it should appear in your camera roll at the bottom. If you want, you can double-check to see if there’s any EXIF data still stuck to it by opening it up with the same process and viewing it with ViewExif. How do you dump that extra data? Is there an app (or a handy-dandy trick!) 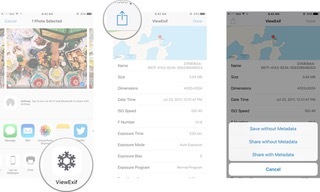 that helps you rid your iPhone of pesky, heavy EXIF data? Let us know what your techniques are in the comments below and we’ll be sure to check them out! Here’s how you’ll be able to add a family member to your iCloud storage plan in iOS 11. With iOS 11, you’ll be able to share storage with members of your Family Sharing group. If your family members are using Apple’s free 5GB plan, they’ll be automatically moved to your storage if you’re using a larger plan. If they’re paying for a larger amount of storage, you’ll need to invite them, which they will be able to decline. 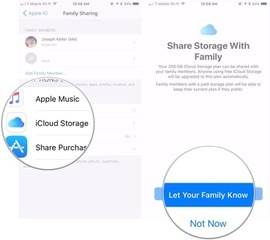 Here’s how you’ll add a family member to your shared iCloud storage plan. Adding a family member to your shared iCloud Storage plan is fairly straightforward and quick. 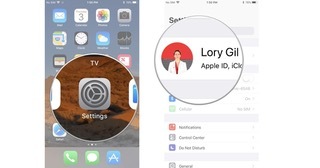 Open Settings on the device of the iCloud family organizer. Tap Let Your Family Know. 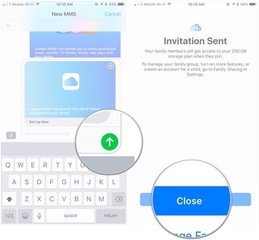 Tap the Send button to send an invitation to your family members to share your iCloud Storage. Open Messages on the family member’s iPhone or iPad. Tap the iCloud invitation in the message that was sent from the family organizer. If you have any more questions about iCloud shared storage in iOS 11, don’t hesitate to ask in the comments. Deadlines, der nærmer sig med en hastighed som japanske lyntog, kan være stressende. Derfor er det vigtigt at vide, hvordan man kan slappe mere af og lade stressen forlade sindet. Heldigvis er der flere metoder til at få kontrol over de løbske tanker og spændinger. Fem tips fra karrieresitet The Muse leverer løsningerne på dine stressfulde hverdag. Det kan lyde mystisk, men massage af ørerne kan sprede en følelse af afslapning i kroppen. Søger du nye udfordringer efter ferien? Find det rette job for dig. Ideen stammer fra den klassiske kinesiske medicin, hvor man eksempelvis benytter akupunktur. For at undgå at hive en nålepude med på arbejde og sidde at stikke i dig selv, kan du dog nøjes med at massere dine ører let. Tag for eksempel fat i midten af den øverste tredjedel af dit øre. Punktet kaldes Shen Men, og det skulle eftersigende hjælpe med at sænke stressniveauet og give ekstra energi. Hvis du har problemer med at finde det helt rigtige spot, kan du i stedet begynde fra øreflippen og arbejde dig op langs ydersiden af øret. Det skulle lede til lidt af den samme effekt. Et nydeligt og rydeligt skrivebord giver dine tanker plads og frirum. Modsat kan rod og bunker af papirer forstyrre dine tanker og måske endda blokere for kreativitet eller produktivitet. Prøv derfor at hold et pænt skrivebord. Hvis du ved, at du er nødt til at arbejde fokuseret, kan du for eksempel starte med at rydde op og give dine tanker luft. I den sammenhæng kan du også rette ryggen og sætte dig i din mest effektive arbejdsposition – det er med til at booste dit overskud af energi. Sidder du ved tastaturet og med en mus i hånden det meste af dagen, kan dette tip hjælpe dig markant. Hav fokus på dine tommeltotter. Begynd med langsomt og forsigtigt at tage fat i musklen mellem din tommeltot og pegefinger. Masser området i cirkelbevægelser og husk at hold berøringen let for at lade musklen slappe af. Spændinger i håndledet eller i fingrene vil forsvinde, og følelsen kan sprede sig til resten af kroppen. Du har muligvis hørt rådet før. Dybe vejrtrækninger giver ro i kroppen og kan bidrage til at punktere stressboblen, der vokser indeni. Men du kan forstærke virkningen af de dybe åndedrag ved at fokusere på din mave. Forestil dig, at din mave pustes op med luft, når du trækker vejret ind. Skub din mave ud for at hiv luften ned, og træk derefter langsomt din mave tilbage, mens du tømmer lungerne for luft. Gentag øvelsen tre gange. Du vil være mere frisk og klar til ny opgaver. Der er andre metoder end vejtrækning til at fremme en afslappet følelse i kroppen. Du kan eksempelvis spænde og slappe af i dine muskler. Teknikken bruges specifikt til at bekæmpe stress, angst og at genopnå kontakt med kroppen. Begynd fra tæerne og arbejd dig så opefter og igennem hele kroppen. Spænd og slap af i dine muskler i dine fødder, dine ben, dine arme, din nakke og selv i dit ansigt. Undgå dog at skræmme dine kolleger for meget. Hele øvelser tager ikke lang tid, og efterlader dig fyldt med energi og overskud. Stress på arbejdspladsen kan føles svært at flygte fra, men det behøver det ikke være. Giv dig selv tid til at pleje dig selv. Gevinsten vil i sidste ende være et mere flydende arbejdsflow og højere produktivitet. 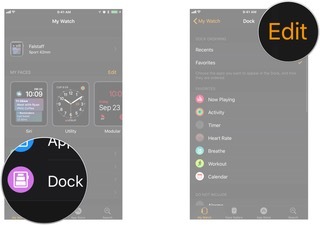 Use the Dock on Apple Watch to control your music and quickly access apps! Apple Watch is all about quick interactions — you lift your arm, tap and swipe, and drop your arm again. 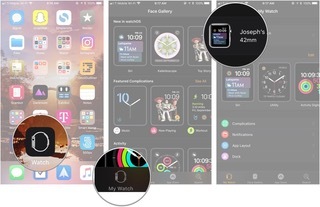 The Dock on your Apple Watch can help make your app interactions quick and reliable because your most-used and favorite apps are always at the ready! 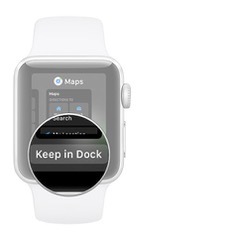 Follow along to learn how to use the Dock on your Apple Watch. The Dock on your Apple Watch can store up to 10 of your favorite apps. It also includes a section called Recent and a section called Now Playing. Recent simply shows you the last app you used; Now Playing is a way to control audio playback and only appears when you’re listening to something on your Watch or your paired iPhone. Want to access the Dock? Here’s how! Press the side button on your Apple Watch. Swipe to the left or right to find an app. Tap to open the app you want to use. When you’re done, press the side button to close the Dock. You can manage your Apple Watch Dock directly from your Apple Watch or using the Watch app for iOS. Managing your Dock consists of adding favorite apps to the lineup, removing apps you don’t want in your Dock, and rearranging apps. 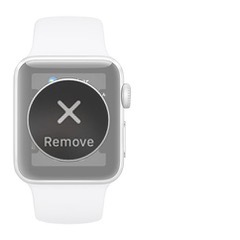 To remove an app from the Dock, start by pressing the side button on your Apple Watch. Swipe to the left or right to find the app you want to remove. Swipe up to reveal the word Remove with an X above it. Tap Remove to remove the app. 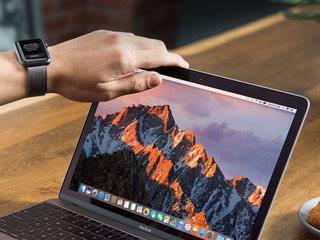 To rearrange apps in the Dock, start by pressing the side button on your Apple Watch. Swipe to the left or right to find the app you want to move. Touch and hold the app tile while dragging it to your preferred position. To add your recently used app to the Dock, start by pressing the side button on your Apple Watch. Swipe left multiple times until you reach the section marked Recent. Wait a moment. You should see the app slide up a bit and a button appear. The button reads Keep in Dock. Note: You can also swipe up on the app to reveal the Keep in Dock button. Launch the Watch app on your iPhone. Tap Edit in the top left corner of the app. Tap the remove button (looks like a red circle with a horizontal line) or the add button (looks like a green circle with a plus sign) to remove or add apps to your Apple Watch Dock, respectively. To rearrange apps in your Dock, tap and hold the rearrange button (looks like three horizontal lines) and drag to rearrange your apps. Having trouble getting your Apple Watch Dock just so? Need some further clarification? Give us a shout in the comments or over on Twitter and we’ll see what we can do! iPhone or iPad keeps shutting off? Here’s how to fix it! If you’ve got an iPhone or iPad that keeps shutting down inexplicably, these tips might just fix your problem! If you have an iOS device that keeps shutting off without you asking it to (or due to low battery), you might be able to fix your problem without a trip to the Apple store. So long as it’s not a problem with your phone’s battery or any other internals, fixing it could be as simple as completing a couple quick steps. Before you schedule that support appointment, give these tips and tricks a try. Here’s hoping they’ll get your device running smoothly again! If your iPhone or iPad keeps shutting down, won’t charge, or keeps crashing, it might be time for a hard reset. Whether it’s really shutting down on its own, or it’s rapidly depleting the battery due to rogue processes or Wi-Fi or cellular radio activity, a hard reset can help. On an iPhone 7 or newer device, press and hold down the Sleep/Wake button and the Volume Down button at the same time. On an iPhone 6s, iPad, or older device, press and hold down the Sleep/Wake button and the Home button at the same time. 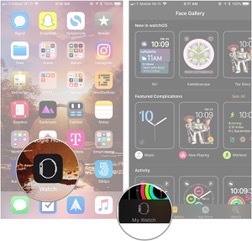 Keep holding down the button combo until you see an Apple logo appear on screen (your iPhone screen will go dark before the Apple logo appears). 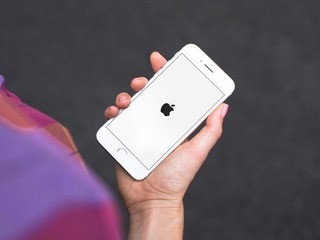 iOS devices with white faceplates will show a white launch screen. iOS devices with black faceplates will show a black launch screen. When the launch screen appears, you can let go of the button combo. 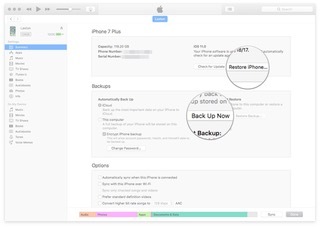 Once your iPhone or iPad has rebooted, check to see if it stays on and operational. If it doesn’t (or if it won’t reboot) go on to the next step. If your iPhone or iPad is rapidly discharging, plug it in. Once the charging cable’s in place, you should see it begin to charge and you’ll be able to read the battery level. If it shows little to no charge, it means something drained your battery. If it shows a partially or fully charged battery, you may have another problem. In either case, connect your iOS device to its charging cable, plug into an outlet or USB port, and start charging. Let it charge for an hour. If it doesn’t seem to be responding, try a different charging cable, a different USB outlet plug, or a different USB port on your computer. 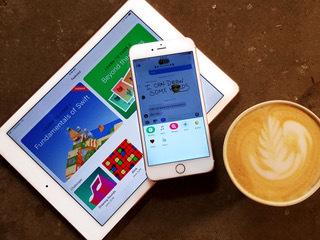 Once you’re fully charged, keep an eye on your iPhone or iPad and see if it shuts down again. If not, great! If so, keep reading. After trying the easy fixes, it’s time to try the harder ones. In this case, restoring your iPhone or iPad in iTunes. iTunes is a safer bet than iCloud because it actually offloads, re-installs, and reloads your data rather than doing everything in-place and on your device. That can sometimes shake loose bad bits that even a hard reset or iCloud restore can’t. Connect your iOS device to iTunes on your Mac or Windows PC using your device’s charging cable. Click on the Device button at the top left. Wait for the backup to finish. Click on Restore iPhone… (or whatever iOS device you’ve connected). Wait for the restore to finish. When you’re all done, see if your iPhone or iPad stays on. If so, hallelujah! If not, there’s one more thing to try. Sometimes a problem really is a problem. Like any electronic device, batteries can fail and circuits can short. If you have AppleCare+, don’t walk, run to get it fixed. If you don’t, get an estimate and weigh the cost of repair against the cost of upgrading to a new device. If you don’t live close to an Apple Store, you can call 1-800-MY-APPLE in order to set up a mail-in repair. If you don’t have AppleCare, you may have to pay for the call, but it’s less of a waste than having a dead iPhone or iPad. If you had an iOS device that kept shutting down and one of the above fixes worked for you, let us know! If something else worked, let us know that as well!